John Cangialosi of NHC and Larry Kelly of the Miami-South Florida Weather Forecast Office discussing their operations during an open house in April 2017. It’s been an extremely busy hurricane season, and even though there are still two months left, we’re already starting to get ready for the hurricane “off-season.” It’s no surprise that the National Hurricane Center (NHC) spends the hurricane season issuing forecasts, watches, and warnings for tropical cyclones to protect lives and property, but people often wonder what we do when it’s not hurricane season. An earlier blog entry discussed some of the main activities during the “off-season”. However, one item that was not discussed was NHC’s interaction with students and the general public. To engage and educate students and the general public, NHC organizes and is involved with numerous outreach events. 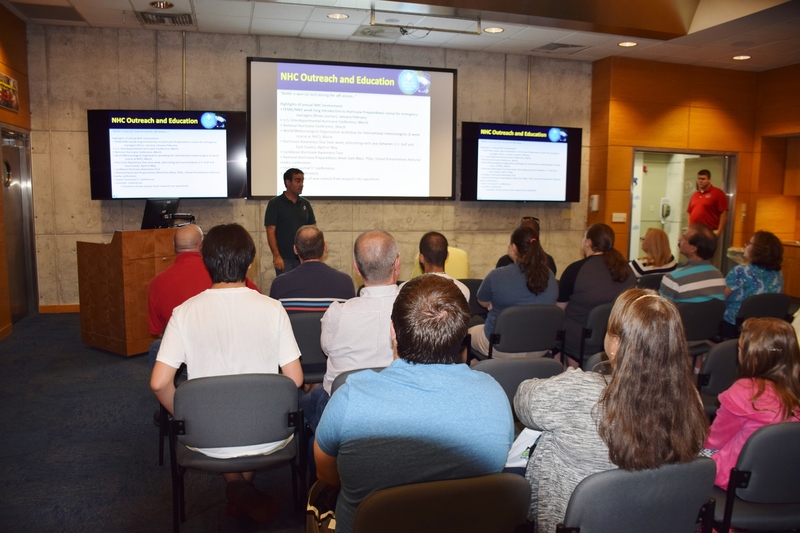 One of the largest public turnouts was in April 2017 for an open house at NHC and the Miami NWS Weather Forecast Office (WFO). Over 1,000 people showed up to learn more about NHC and WFO operations and how to be hurricane ready. Similar experiences were provided during several office tours that were open to the public and schools outside of hurricane season. NHC forecasters also make efforts to interact with students and teachers at career days at schools in South Florida, and participate in outreach events at local museums, boat shows, and colleges to help get the message out about weather hazards and preparedness. 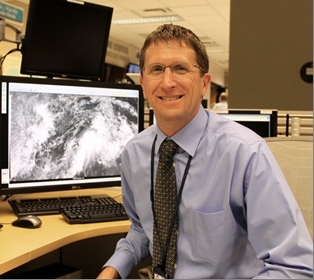 For a virtual tour of NHC’s operations, visit http://www.nhc.noaa.gov/nhctour.shtml. Since many areas in the United States and internationally are affected by hurricanes, the NHC takes their outreach efforts on the road to reach more hurricane vulnerable locations. 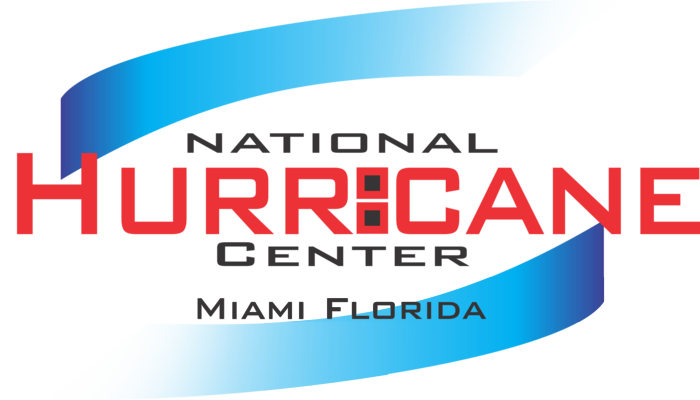 NHC plays a critical role in two annual Hurricane Awareness Tours (one in the Caribbean/Mexico and one in the United States/Canada). 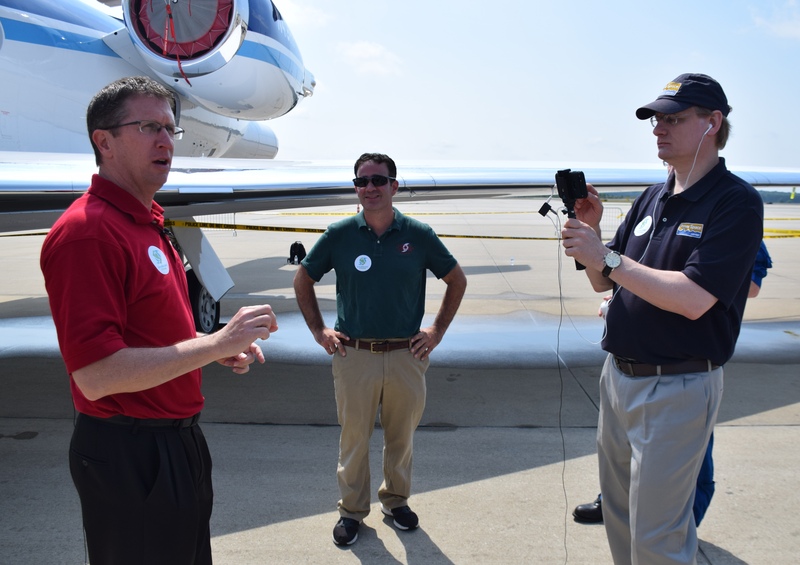 The Hurricane Awareness Tours are an opportunity for NOAA and its partner agencies to visit locations that are vulnerable to tropical storms and hurricanes. At each location along the tour, the public can get an up-close look at the NOAA and U.S. Air Force Reserve Hurricane Hunter aircraft and meet some of the crew that fly into hurricanes. In addition, NHC and other partners discuss the importance of having a personal hurricane plan at each stop of the tour, including knowing whether or not you live in an evacuation zone. 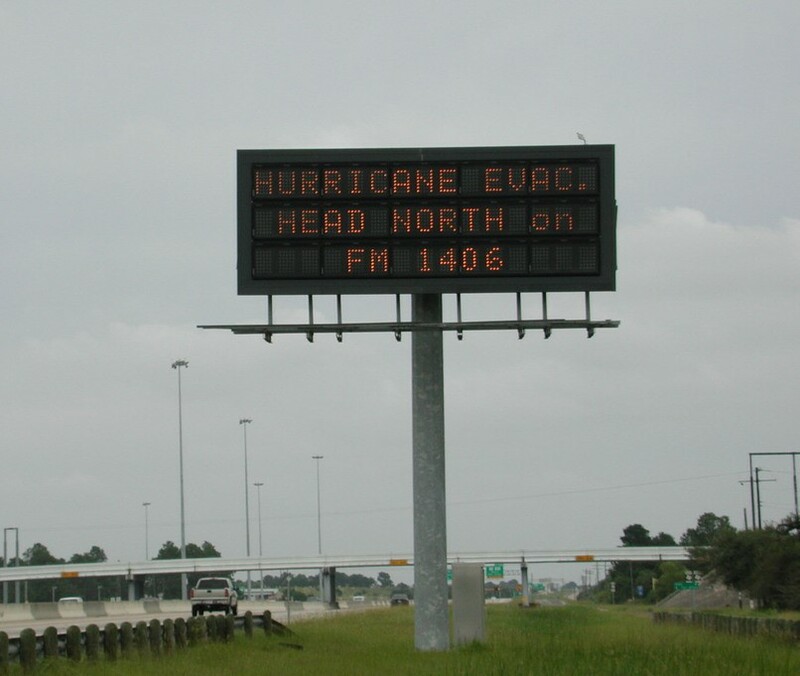 The events provide an opportunity for NHC to spread the hurricane preparedness message through local media and emergency managers, with the main goal being to increase public awareness of hurricane threats and ensure that communities and families in hurricane prone areas are better prepared to face the next storm. Over 13,000 people showed up for the 2017 U.S./Canada Hurricane Awareness Tour, the most successful turn out in its history. 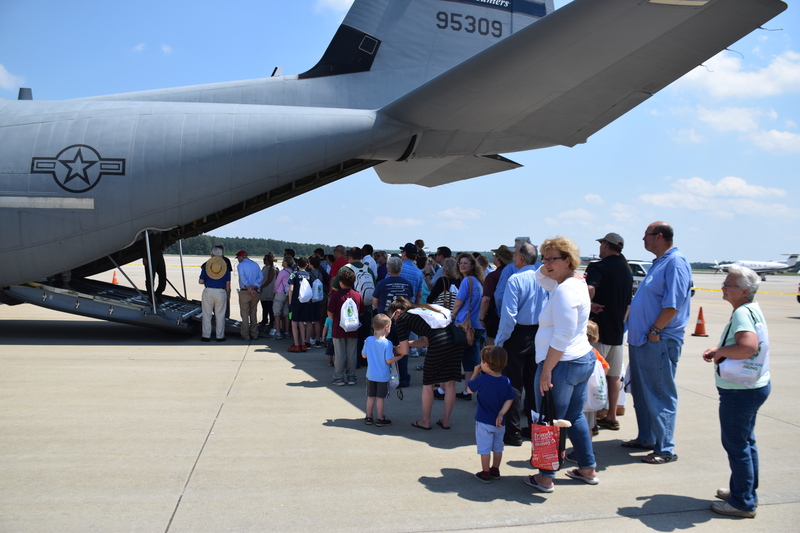 Line of people waiting to tour the Air Force C130-J aircraft at the Raleigh, North Carolina, stop of the 2017 Hurricane Awareness Tour. To take advantage of today’s high-tech society, NHC has moved a portion of our outreach efforts into the virtual world. To reach students, NHC has teamed up with the University of Rhode Island and NOAA’s Aircraft Operations Center to conduct educational webinars for 4th, 5th, and 6th graders. 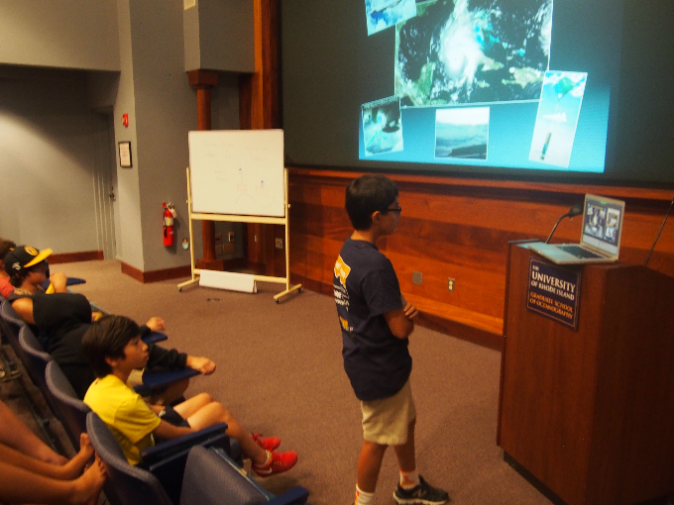 These webinars provided an overview of hurricane history and hazards, and we quizzed students on their hurricane knowledge. The webinars also featured videos of the Hurricane Hunters and allowed students to directly ask questions. 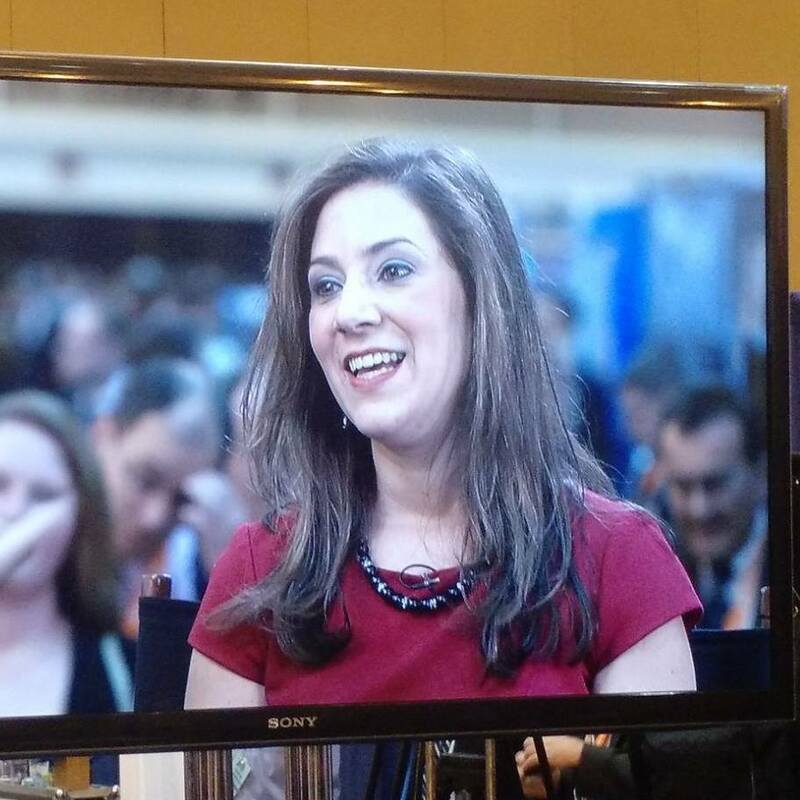 During the past five years, the webinars have reached more than 40,000 students from around the country and beyond. For more information please visit http://www.hurricanescience.org/resources/nhcwebinar/. During the past few years, NHC has also partnered with NOAA’s Southeast and Caribbean Regional Collaboration Team to offer a series of webinars that are intended to improve the understanding of NHC and local NWS Weather Forecast Office tropical-cyclone-related products and services. These webinars are geared toward the general public, emergency managers, and media partners. Recordings of these webinars can be found at http://www.regions.noaa.gov/secar/index.php/highlights/noaas-2017-hurricane-season-awareness-webinars/. These are just some examples of how meteorologists at NHC interact with the public and students. It has been one of the most rewarding parts of my job, as I know that I am providing a valuable education to those that live in hurricane vulnerable locations. In addition, some of these events have inspired students to want to learn more about weather, hopefully encouraging the next generation of meteorologists. So if you are interested in attending some of these events for the next “off-season”, stayed tuned to hurricanes.gov for updates. This entry was posted in NHC, Outreach, Preparedness and tagged #HurricanePrep, #HurricaneStrong, CHAT, HAT, NOAA, URI. A lot of the advice you hear in advance of hurricane season includes some variation on “Get a Plan”. And you may have thought, “Why? How difficult can it be?” The truth is, it’s really not difficult. Most of the things that I want you to consider when dealing with a natural disaster such as a hurricane are basic, common-sense issues that you deal with every day of your life. The problem is that when a hurricane or other severe weather is bearing down on you and your family, the things that you normally take for granted may be in short supply, and you’ve got to get a lot done in a very short period of time. In those circumstances, having gone through the planning process with your loved ones, and developing a written plan to help guide your actions, could save your life. Simply considering developing a plan is a very good first step. It will help you think about the hazards where you live. Are you close to the ocean and potentially in a storm surge zone? Do you live in a flood plain? Do you live in a house likely to be damaged in high winds? Are the roads you rely on to get to the grocery store or the pharmacy prone to flooding? Knowing how a storm can affect you will help determine what kind of plan you should develop. 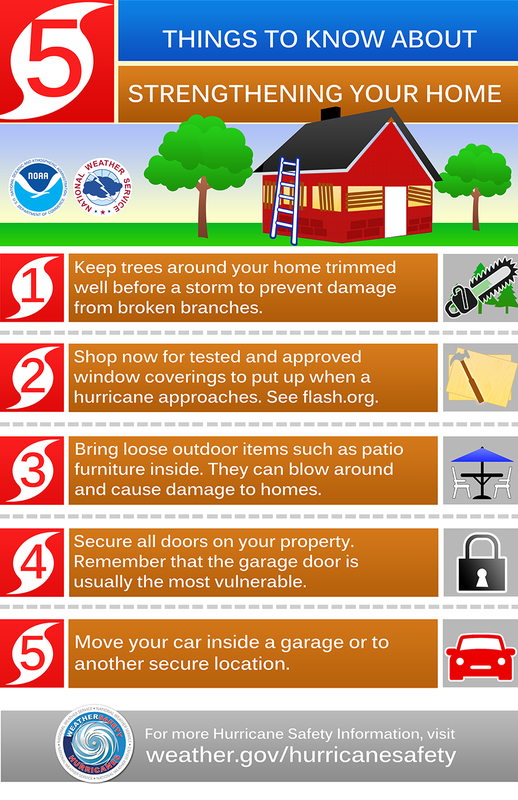 Once you know how a hurricane will affect your physical environment, consider what that means for your loved ones. Do you care for young children or elderly relatives? Do you have pets or livestock that you need to care for? Think about how a prolonged period without power or water will affect them. What would you do if you couldn’t get to the grocery store for a few days, or if the gas station ran out of fuel? Once you’ve thought about these issues, though, take the next step and write down your answers. 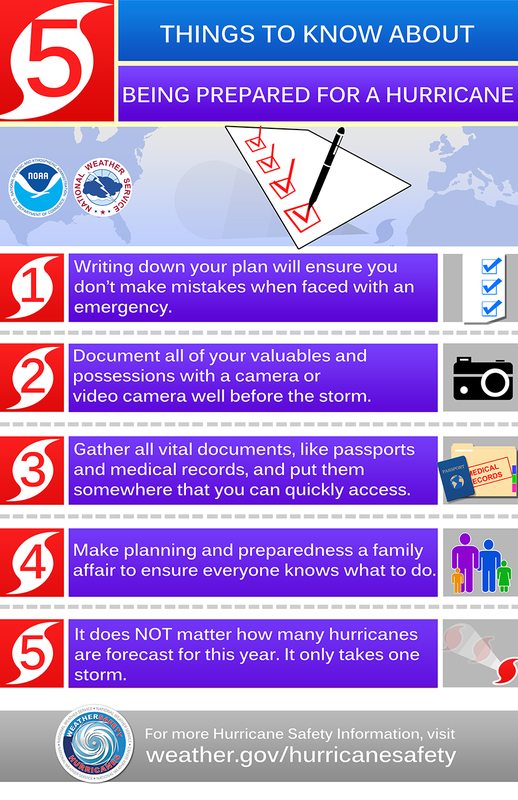 When a hurricane is coming, having a written plan will help ensure that you’re taking care of the most important things. And by going through the planning process together, you and your family will be more confident that you’ll be able to survive the storm and get your life back to normal as quickly as possible. Having a guide to make sure you’ve taken care of the essentials will give you peace of mind and allow you to focus on keeping your family safe. Will everything go exactly as you planned it? Probably not. There are so many variables in a hurricane and so many unknown factors that you’ll likely have to improvise. But it’s much easier to deviate from a well-considered plan than it is to try to develop a course of action from scratch during the middle of the event. There are a lot of resources to help you. In Florida, try www.flgetaplan.com. In South Carolina go to http://www.scemd.org/planandprepare/preparedness/famdiasterplan, and in Texas a good resource is http://www.texasprepares.org/. Other great sites include The Red Cross and FEMA’s Ready.gov site. And there are many more; simply search “disaster plan” on the internet and you’ll find plenty of options. All of them are very good, and any one of them will help you accomplish your goal of getting you ready. Kids can even get involved by helping their parents fill out a family communication plan. Hurricanes are a fact of life, and their impacts can be catastrophic. If you are well prepared for them however, the likelihood that you will survive and be able to recover quickly are tremendously improved. That preparation starts with developing a plan to guide you through the situation. An hour or two spent now on writing your plan could save your life! This entry was posted in NHC, Outreach, Preparedness and tagged #HurricanePrep, #HurricaneStrong, #ItOnlyTakesOne. Hurricanes are dangerous! Extreme winds, storm surge, inland flooding from heavy rains, and tornadoes can all be life threatening. Understanding your risk from these threats is important—and a trusted, credible source for hurricane information can help. 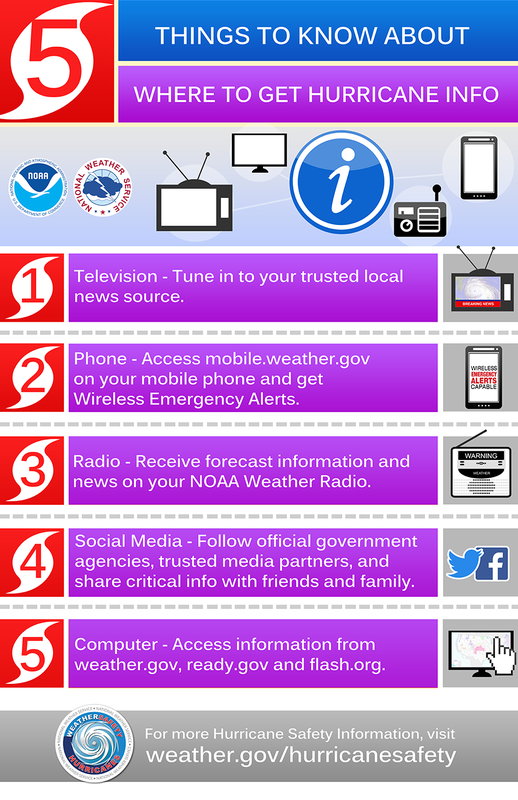 When a storm is threatening your area, there are many places to go for information to determine if you are at risk…. But, are all sources of weather information the same? Are all sources trustworthy? Does your source have hurricane knowledge and expertise? Knowledge and expertise are gained through a combination of study and practical experience. Does your source hire staff with degrees in meteorology? 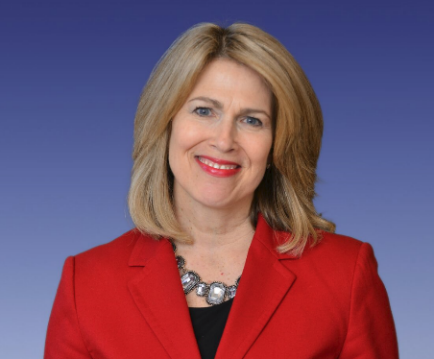 In addition to formal degrees, the American Meteorological Society certifies individuals who have “achieved a high level of competency in communicating complex weather.” The National Weather Association also offers a certification program. These certifications and corresponding logos are shown on TV next to a broadcaster’s name, online, or in someone’s biography. Of equal importance is how many years of experience does your source have? Hurricanes are like fingerprints. No two storms are the same. Forecasters must observe, collect, and analyze complex data to determine the hurricane track, intensity, and potential impacts, like storm surge. It stands to reason that the more experience a source has with different storms, the more knowledge and expertise that individual has gained over time. Determining if a source is open and honest is a bit more subjective. Here are a few guiding thoughts. Does your source convey what he or she knows and doesn’t know? There is always some uncertainty with a storm. Communicating uncertainty is vital to an open dialogue about the risk of hurricanes. 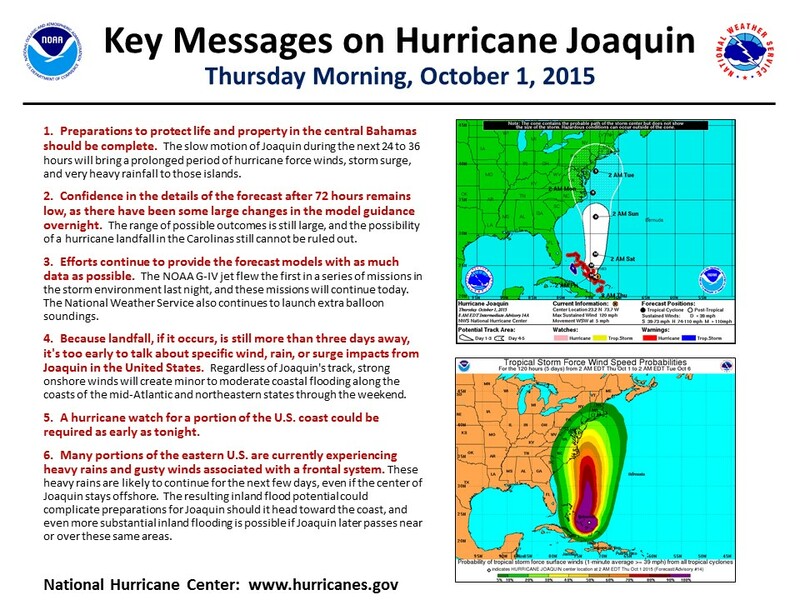 For example, during Hurricane Joaquin in September and October of 2015, the National Hurricane Center issued a new “key messages” section in their Tropical Cyclone Discussion and also sent it out on Twitter, at one point stating, “Because landfall, if it occurs, is still more than three days away, it’s too early to talk about specific wind, rain or surge impacts from Joaquin in the United States.” NHC openly shared what it did and did not know about the storm. Hurricanes can be fearful experiences to live through, and evacuation decisions can be equally as stressful. Hurricane risk information from a trusted source can calm those fears and provide the details you need to make an informed decision that is right for you. Hurricanes may vary in their strength, but with trusted sources by your side, you can always remain #HurricaneStrong. [i] Peters, R. G., Covello, V. T., & McCallum, D. B. (1997). The determinants of trust and credibility in environmental risk communication: An empirical study. Risk analysis, 17(1), 43-54. If you’ve been following along with us this National Hurricane Preparedness Week and joining us to get #HurricaneStrong, you’ve already moved through the first four steps on your path to the ultimate state of readiness. You’ve determined your risk, developed an evacuation plan for your family, secured an insurance check-up, and assembled your disaster supplies. So, now it’s time to focus on our message for Day Five–Strengthen Your Home. This may be the most challenging of the critical steps to preparedness, but it is also one of the most rewarding. Having a strong home will give you the peace of mind that comes with feeling safe and sound. If you have a strong home, and reside outside of a storm surge evacuation zone, you should be able to take shelter in your home. This will keep you, your family, and your pets together, off the roads, and out of the shelters. This is especially important as shelter space is limited, and should be reserved for those that must evacuate. Also, if a hurricane strikes, your strong home can be the key ingredient for a swift recovery after the storm because strong, high-performing homes resist the wind and water that come with a hurricane. They suffer less damage, save you money, and reduce or eliminate repair time. So how can you get a strong home? First, it is important to understand the different ways that hurricanes can damage a home. High winds exert extreme pressure on your home, and cause four types of building failure. 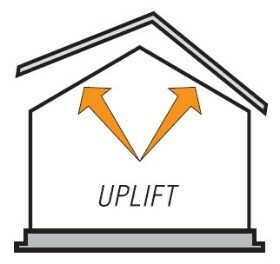 Uplift occurs when the wind moves over the structure pulling upward, especially on the roof. 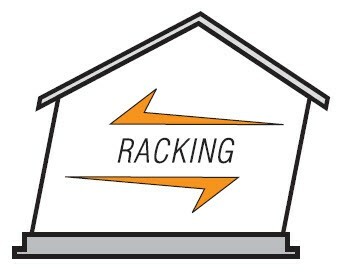 Racking happens when horizontal pressure causes the house to tilt. 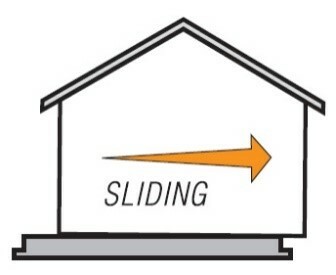 Sliding occurs when the horizontal wind pressure pushes a house off its foundation. 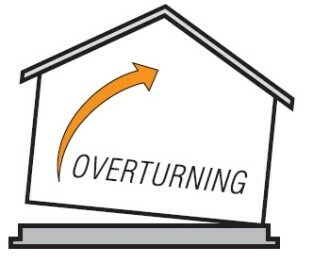 And, overturning occurs when a house resists horizontal pressure, and won’t rack or slide. These high wind failures can be prevented or effectively lessened when a home is well-connected with the right amount of nails and metal connectors. The key connections to reinforce include the roof-to-upper story; upper story to first floor; and house to foundation. 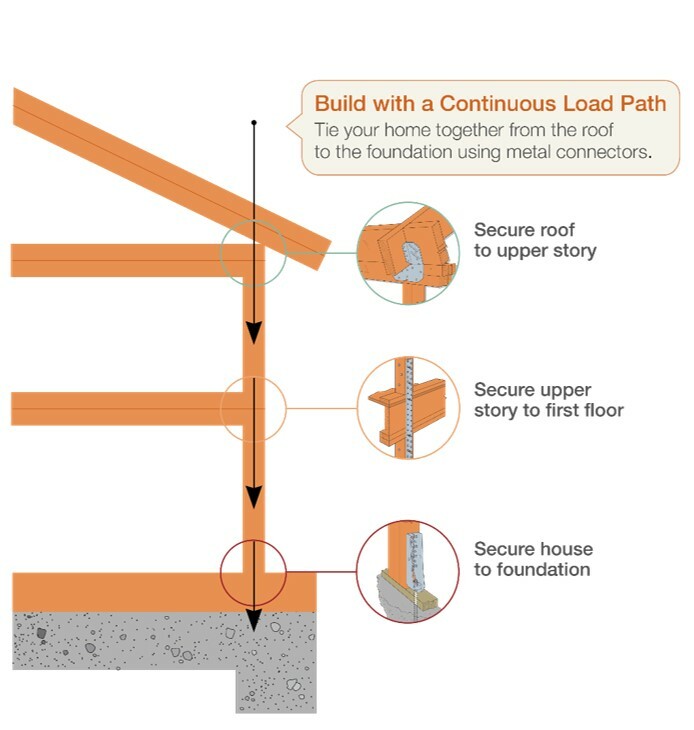 When you make these connections the right way, you will have a continuous load path that ties your home together from the roof to the foundation. If you are getting ready to build a new home, remember, it is possible to build a hurricane-resistant home from a variety of materials, including wood, engineered wood, and concrete products like concrete block, insulated concrete forms, cast-in-place concrete, and more. Many materials provide the additional benefits of durability, energy savings, and sustainability, so it’s important to research all of your options before you begin. Windborne debris batters and breaks windows, doors, and garage doors, but this can be prevented by using impact-resistant windows and doors, or tested and approved hurricane shutters. Shutters can be permanently installed, or temporarily. Even the proper thickness of 5/8” plywood cut to fit each window and opening is effective if properly mounted with the right fasteners. Click here to view our videos about hurricane shutters, impact-resistant windows, and how to make temporary, emergency panels. Wind-driven rain can be kept out of your home if you refresh the caulk around your windows and the flashing around doors at least once per year. Hurricane shutters will also help prevent this damage. 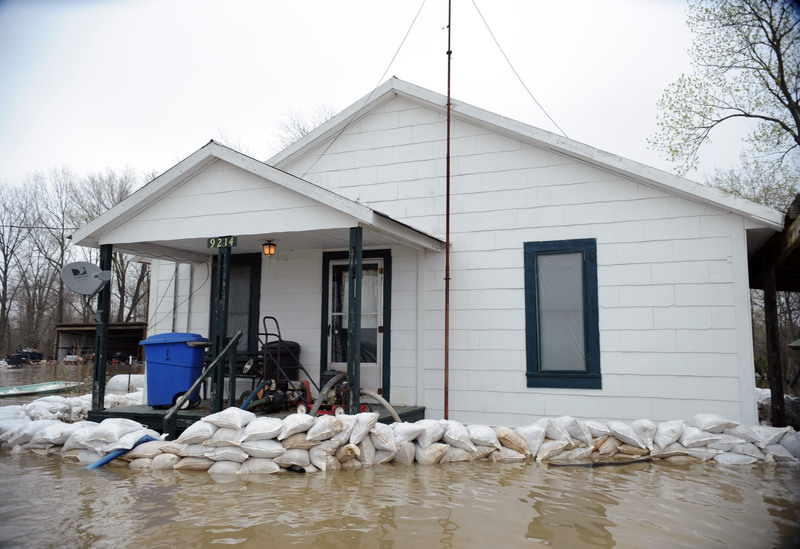 Rising waters flood inside homes, damaging appliances, electrical systems, flooring, and more. Click here to use this calculator and see the potential damage to your home from flooding. What you’ll learn is that only four inches of water can cause nearly $30,000 in damage. The best financial protection from flood damage is flood insurance, but you must purchase a separate policy as it is not part of your homeowner’s insurance coverage. 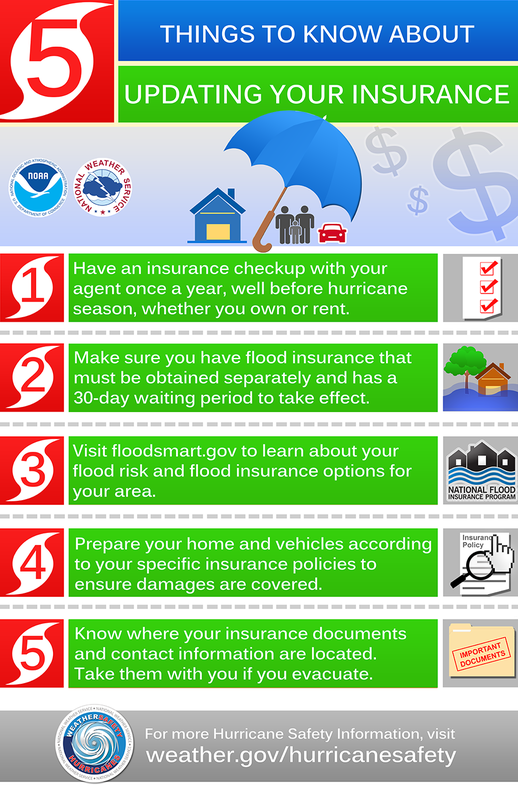 Also, flood policies carry a 30-day waiting period, so it is important to secure your protection now before the hurricane season begins. It is also important to keep your gutters and downspouts around the home clear of debris, so they can carry the water away from your foundation. If flooding is imminent, you should secure sandbags. If they are properly filled, placed, and maintained, sandbags can redirect storm water and debris flows away from a home and other structures. Follow the guidance below to make sure you use and then dispose of them correctly. Use sand if readily available, otherwise use local soil. Fold top of sandbag down and rest bag on its folded top. Take care in stacking sandbags. Limit placement to three layers unless a building is used as a backing or sandbags are placed in a pyramid. Tamp each sandbag into place, completing each layer prior to starting the next layer. Clear a path between buildings for debris flow. Lay a plastic sheet in between the building and the bags to control the flow and prevent water from seeping through openings like sliding glass doors. Sandbags deteriorate when exposed to continued wetting and drying for several months. If bags are placed too early, they may be ineffective when needed. Sandbags are for small water flow protection up to two feet. Protection from larger flow requires a more permanent flood prevention system. Wet sandbags are very heavy and caution should be used to avoid injury. It is important to consult your local environmental protection department before disposing of used sandbags. Sandbags exposed to contaminated floodwaters may pose an environmental hazard and require special handling. Storm surge and waves are often the most destructive threats to homes in the path of a hurricane. So, whether you live near the coast where storm surge is possible, or you are inland where rising waters from heavy rains threaten, it is best to build or buy a home that is elevated above the Base Flood Elevation (BFE) or the expected level of flooding established by the FEMA flood maps. No matter where you live, the best protection from hurricanes or any natural disaster is to ensure that your home is constructed to meet or exceed current building codes. Post-disaster investigations have proven again and again that homes built to code have the best chance of surviving. And when you have a strong home that survives the wind and the water from hurricanes, you will become resilient in the face of the storm. This entry was posted in NHC, Outreach, Preparedness and tagged #HurricanePrep, #HurricaneStrong, #ItOnlyTakesOne, FLASH. How awful is the aftermath of a hurricane? An individual’s experience can range from a tolerable inconvenience to a life-altering disaster, but awful generally covers it. If we could teleport ourselves into that situation for just a few moments, the items we desperately need would quickly become obvious, and we’d probably have no trouble making our shopping list for hurricane supplies. It’s hard to truly feel that level of desperation when it’s just a bad daydream, but fantasize reality we must if we’re going to understand why it’s so important to stock up on critical supplies – in advance rather than waiting until a hurricane is actually out there and threatening. Up front, I’ll stipulate that not everyone can financially afford to stock up in advance like this. So, those of us with the means to do so have an even greater responsibility to shop now and be self-sufficient in the days following the storm. If we don’t, then we are unnecessarily taking up space in the last-minute long lines at stores during a hurricane warning and at emergency distribution centers in the aftermath. Some of us could even go a step further and directly help a less fortunate neighbor that we personally know to obtain the most critical supplies, or we could donate to a nonprofit organization that might be able to make that happen. Bottled water. I’d shoot for at least one gallon per person, per day, for at least seven days. First aid kit. This is even more crucial than at first glance. Maybe, for example, you get through the storm unscathed, but what if you are injured while emergency responders cannot reach you? Even worse, what if it’s your child? Prescription medications. Fill these before the storm since the pharmacies might not reopen for quite a while. For some of us with serious conditions, it’s simply not a viable option to miss a dose. Over-the-counter medications. Think beyond basic pain relievers to include all kinds of remedies for ailments that might not be a big deal when the drug stores are open but that could worsen without any treatment. Non-perishable foods. You’ll need enough for your entire family for a minimum of one week. Get as many of those convenient pop-top opening cans as you can find, but always have a manual can opener. It’s really embarrassing during a power outage to push the lever on an electric can opener over and over and wonder why it’s not working. Formula, diapers, and other baby supplies. This obviously does not apply to everyone, but it wasn’t that long ago that my wife and I had an infant in our home during an actual hurricane – so trust me, these are not the kinds of supplies you want to be racing to scoop up at the last minute. There are too many other parents that will be faster than you in getting to the stores and clearing out the shelves. Battery-powered AM/FM/NOAA Weather Radio. If possible, get one that also receives the audio from local television stations. Don’t cut yourself off from potentially life-saving information. Batteries. This is for everything with an on/off switch that can operate without a cord, and not all of these are just for fun. Start with noting what size batteries your flashlights take. Toiletries. ‘Nuff said, except I’ll say that an often-overlooked item is moist towelettes. A waterproof and fireproof container. Store in here your priceless photos and important papers, including insurance policies and documentation of your home’s contents that you’d need for an insurance claim. Elaborating on non-perishable foods, I’m always on the hunt for out-of-the-box thinking on what to eat in the aftermath of a hurricane. I love having an excuse to eat nothing but potato chips and peanut butter sandwiches as much as the next guy, but things don’t have to be so elementary school. If you have a gas grill in the backyard, get an extra tank and fill it up this weekend. You’ll thank yourself later, with or without a hurricane this year. Your summer holiday weekend cookout will hit a major snag if you run out of propane, without a spare, before you’ve flipped the burgers over. If a hurricane does strike and your electric stove goes out of commission, your gas grill – especially if it has one of those side burners – will be a valued friend. If you’ve stocked up on water, you can cook non-perishable foods like pasta. A simple hot meal will be an exquisite luxury in the days after a hurricane. Cash. It will quite literally be king when the ATM screens are dark and swiping a credit card accomplishes nothing during an outage. And put some under the proverbial mattress way in advance if you can, so that you can avoid ultra-long lines in an actual hurricane event. Gas for the car. Fill up as far in advance as reasonably possible. In past hurricane approaches, I’ve filled up in the middle of the night just before the storm. I wasn’t the only one with the idea, so there was some safety in numbers, but I avoided the longest lines and it saved a lot of time the next day to focus on other preparations. Offsite data backups. This is no longer just a problem for computer geeks like me. How many important records, family photos, and other irreplaceable files are stored on your laptop, desktop, or mobile device? Not only can a hurricane (or other weather disaster) take out both your computer and your backup disk in one fell swoop if they’re both stored at home, so can a fire, a robbery, or disk drive failures. You could store a backup disk at some other location in town, such as a safety deposit box. Another option is online backup services to which you upload your data. Solar-powered USB chargers. The first person in my household to not only find out about but also own one of these was my 11-year-old son. When I asked him, “why do you need one of those?”, he said, “Daddy, it’s really cool. Plus, it’ll be really good for our hurricane supplies.” He’s already saved the day with that thing when my phone was out of power one day at the beach. Many of these chargers can also be powered up via an electrical outlet before the storm. Variations on the same theme include cell phone and USB chargers powered by conventional batteries. This is not in everyone’s budget, but this article would be incomplete without mentioning generators, whether they be portable or permanently installed. I can’t emphasize enough, however, that you must NEVER operate a generator indoors. Carbon monoxide poisoning has wiped out entire families. Patience can be in short supply after a hurricane, but a little advance planning can help you and your family – especially the kids – to endure the potentially lengthy aftermath. Assemble their favorite pillows and blankets, sleeping bags, books, and board or card games (especially if evacuating). Reading to your younger kids might be one of the most enjoyable ways to help them pass the time. I’ve referred in this article to hurricane supplies, but they’re important to have on hand for any natural or man-made disaster that might force you to survive on your own for many days. People have died in fires during power outages after leaving candles unattended. See batteries and flashlights above. Tape for windows. In all seriousness, Go Tapeless. Tape does not keep your windows from breaking, so you’d be wasting your time and money. Even worse, tape serves to make the broken pieces larger and deadlier. People have died standing behind windows or glass doors with a false sense of security. If your season ends up being hurricane free, have a party in December, and eat and drink your hurricane supplies so they don’t eventually expire and go to waste. You can restock your supplies once per year. Search online to see if your state offers sales tax exemptions for a few days each year on hurricane preparedness items, sometimes on big-ticket purchases like generators. I’m sure I haven’t thought of everything, but hopefully this has created in you a severe brainstorm that will ultimately leave you better prepared for not only the storm itself but the awful aftermath. For more details on what you might need in your supply kit, visit www.ready.gov/kit. This entry was posted in NHC, Outreach, Preparedness and tagged #HurricanePrep, #HurricaneStrong, #ItOnlyTakesOne, disaster kit, hurricane supplies. Hurricane season is almost here. The season officially starts June 1 and ends November 30. During these six months, forecasters watch hurricanes as they develop offshore. While we may see a hurricane coming, we won’t know the exact impact it will have on every community until it makes landfall. To ensure the safety of you and your family, don’t wait until it’s too late to prepare; find out your hurricane evacuation zone today. It only takes one hurricane to change your life and your community. Now is the time to prepare. When a hurricane hits, it can bring high winds, heavy rainfall, storm surges, coastal and inland flooding, rip currents, and even tornadoes as part of a destructive, hard-hitting package. That’s why if you live in an area where hurricanes are a threat, you need to know where you’d go before the danger arrives and makes evacuation impossible. Know your evacuation zone. Evacuations are more common than people realize. Many communities have designated evacuation routes and evacuation zones. 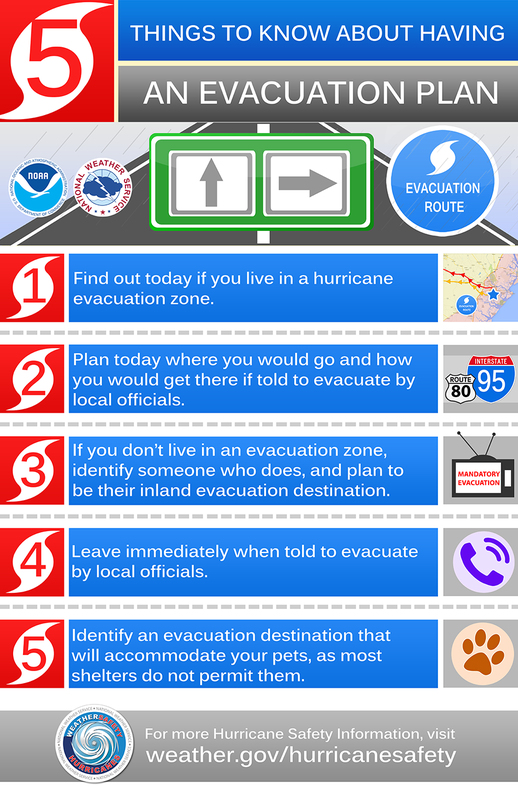 Make yourself familiar with these evacuation zones, so if your local authorities issue an evacuation order, you’ll know if you need to leave. It’s also a good idea to know where you’d go if told to evacuate. Be sure to account for your pets, as most local shelters do not permit them. However, by law, public shelters do accept service animals. Remember: if a hurricane threatens your community and local officials say it’s time to evacuate, don’t hesitate — go as soon as you can. Complete a family communication plan. Plan how you will assemble your family and loved ones, and anticipate where you will go depending on the situation. Choose several destinations in different directions so you have options in an emergency, and know the evacuation routes to get to those destinations. Get together with your family and agree on the ways to contact one another in an emergency, identify meeting locations, and make a Family Emergency Communication Plan. Sign up for local alerts on your phone. Sign up now so you can stay aware if a storm threatens. Visit https://www.ready.gov/alerts and learn how to search for local alerts and weather apps that are relevant for hazards that affect your area. Download the FEMA app for disaster resources, weather alerts, and safety tips. Earlier this month, FEMA launched a new feature to its free smartphone app that will enable users to receive push notifications to their devices to remind them to take important steps to prepare their homes and families for disasters. The app also provides a customizable checklist of emergency supplies, maps of open shelters and open recovery centers, tips on how to survive natural and manmade disasters, and weather alerts from the National Weather Service for up to five locations across the nation. Make sure your insurance policies are up to date. Hurricanes have caused eight of the ten costliest disasters in U.S. history, and strong winds or just a few inches of water can cause tens of thousands of dollars in damage to a typical home. Many states have increased deductibles for hurricanes, and not all hurricane-related losses are covered under traditional policies. Also, most homeowner’s insurance policies do not cover damage from flooding. Flood insurance ensures that consumers have adequate financial protection against the devastating effects of flooding, without having to rely on post-disaster loans (usually paid back with interest) or emergency assistance. If you have insurance, review your policy, ensure you’re adequately covered and understand any exclusions, and contact your agent for any needed changes. If you’re not insured against flooding, talk to your agent or visit floodsmart.gov. If you’re not a homeowner, renters insurance policies are also available and should be considered as they’re often low-cost methods of protecting your belongings. 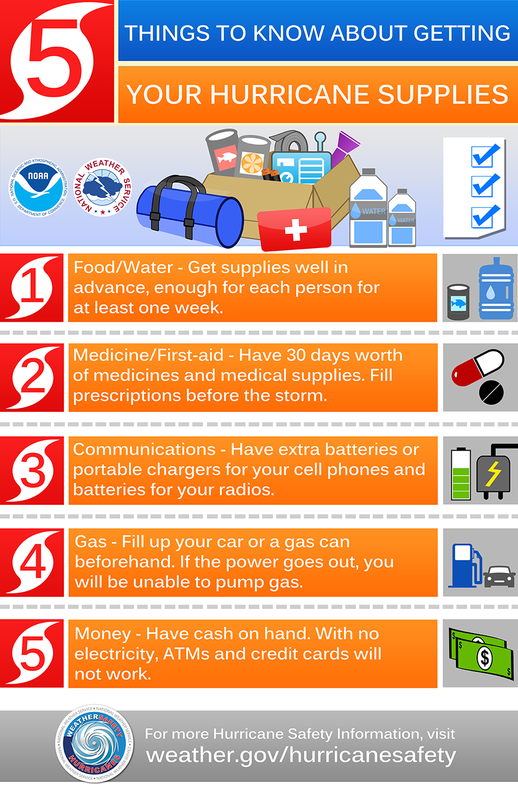 Get prepared now and know what you’re going to do in the event of a hurricane. Planning ahead gives you more options and better control over situations that could become chaotic at the last moment if you’re not ready. To learn more about how to prepare for a hurricane visit ready.gov/hurricanes. Find out about preparedness drills or exercises in your area at ready.gov/prepare. This entry was posted in NHC, Outreach, Preparedness and tagged #HurricanePrep, #HurricaneStrong, #ItOnlyTakesOne, evacuation zone, FEMA.